Spring has finally arrived in our neck of the woods. Well, actually, it feels more like summer with temps in the 80’s…and it’s fabulous! 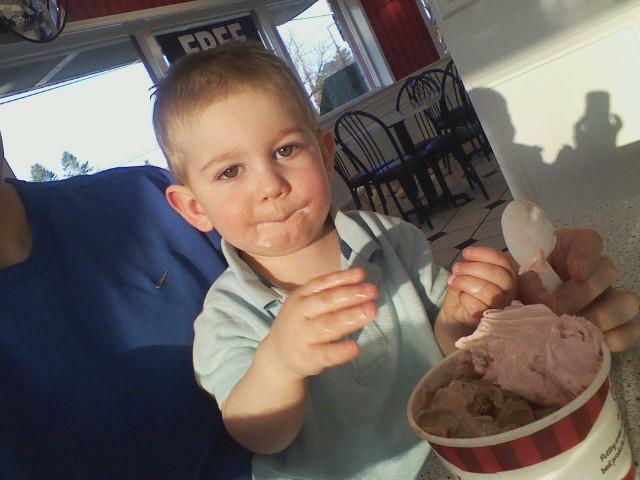 We’ve been taking full advantage of this beautiful weather and have been taking “G” for walks, going to the playground, and getting ice cream. We have all been loving it! The complex we live in has a playground for all the children. 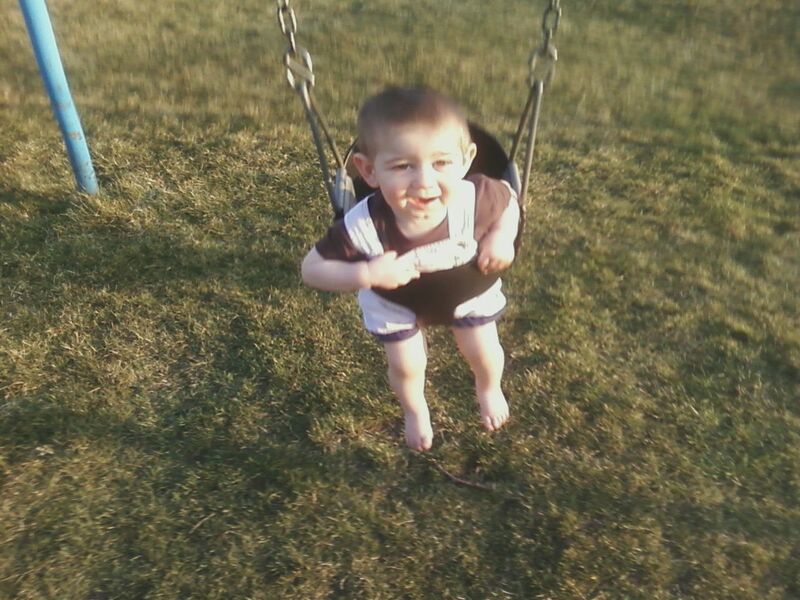 “G” loves the swings. He laughs and laughs while we push him and he swings back and forth. And, what would March be without St. Patrick’s Day? 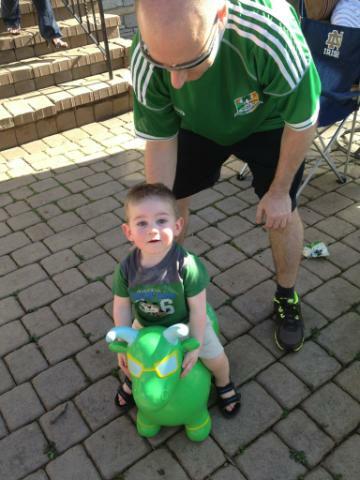 We took “G” to a friend’s house for a St. Patty’s Day party and some fun in the sun. We got him all decked out in his Irish green. 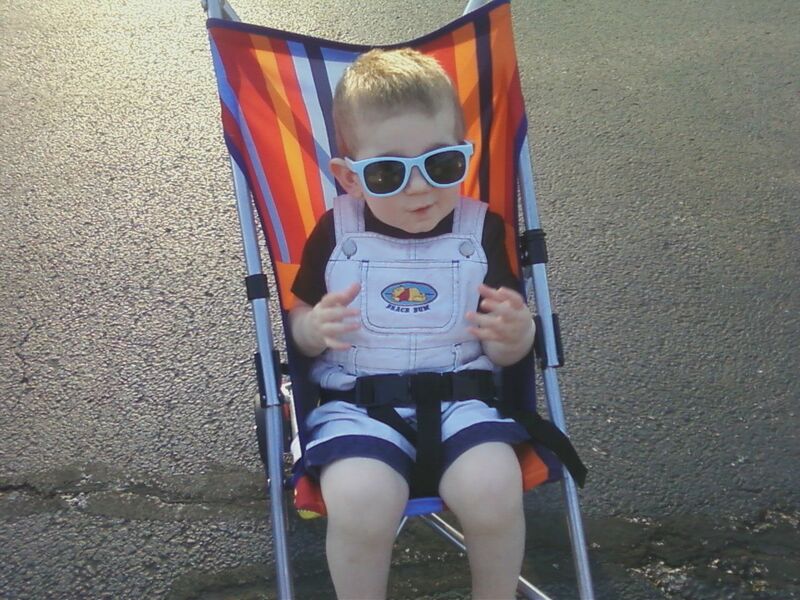 That’s my little Irishman!